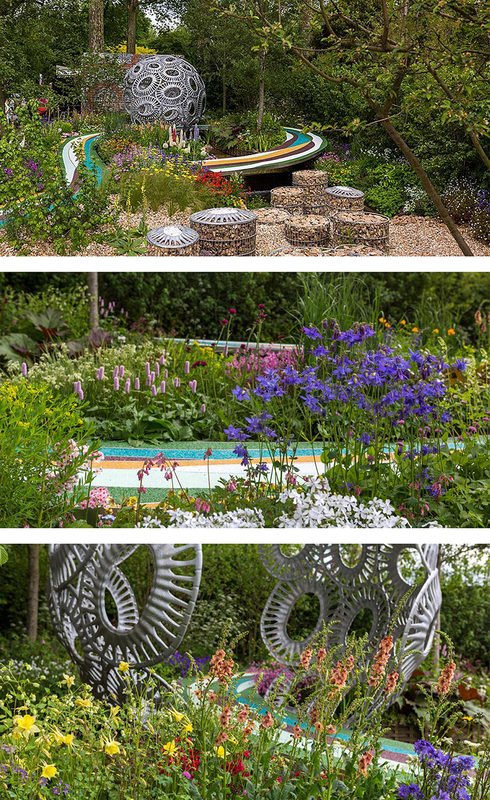 Coates & Seely were delighted to be asked by Brewin Dolphin to supply their wines at the Chelsea Flower Show to complement Brewin Dolphin’s sponsorship of a garden designed by multiple Chelsea gold-medal winner Rosy Hardy. Rosy’s garden was a celebration of Hampshire’s fabled chalk streams, exploring the fragility, beauty and uniqueness of these chalk-fed rivers that have beguiled philosophers, fishermen, botanists and nature-lovers over the centuries. Coates & Seely’s own chalk-based vineyards are a stone’s throw from Rosy’s wonderful nurseries in Hampshire and are themselves an expression of the beauty and genius of chalk soil. We were privileged to be asked by Brewin Dolphin to partner Rosy in such a wonderful celebration of Hampshire chalk and all it produces.